QMobile has introduced two entry level smart phones in the market, J1 and J2 and the smart phone, J2 is providing in the market for Rs.10,999/-, which is slightly better version of J1. Noir J2 is providing in the market with 5 inch 480p (854 x 480) IPS LCDE screen. The size of the screen and resolution should be good for first time smart phone users and it should suffice for the regular usage. The phone looks bland up front and back of the smart phone looks better for its price. The processor in this mobile phone is the low end and QMobile Noir J2 is providing in the market with quad core 1.1 GHz Mediatek MT 6737M processor. 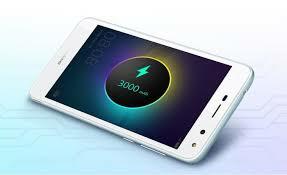 It has the features of 2 GB RAM and 16 GB internal storage, which is expandable through the dedicated micro SD card slot. The handset, J2 is the dual SIM phone by default. On the OS side, it has Android 7.0 Nougat with Amigo OS on top. J2 is the better sibling of two Noir J series phones and J2 has the 8 MP back camera with the autofocus and LED flash. The front camera of the handset is 5 MP shooter with flash. The capacity of the battery is same as J1, which is 2500 mAh unit and the average use of the smart phone due to the low resolution screen and low power processor.